Mobile phones are indeed today tiny computers in your pocket and so it is important to consider operating systems when choosing a new mobile phone. This is particularly evident when comparing mobile phone deals on the Android operating system as there is a huge difference in user experience and services throughout its range. This is an even more important feature to consider when you take a look at comparison website as mobile phone models are still for sale that were first released several years ago. 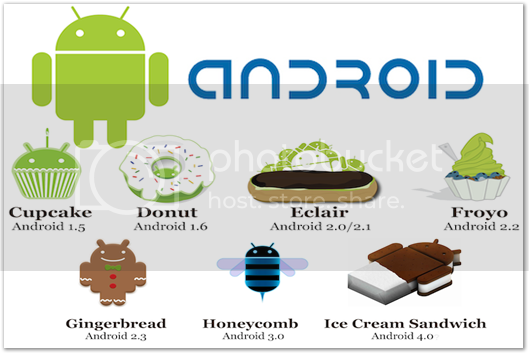 There have been many enhancements through the development of the Android operating systems and one of the oldest versions (v2) is still available, so let’s take a look at what Android v4 will offer on top of the experience of v2. The text font on Android v4 has been updated and completely re-invented to ensure that everything is easier to read, from emails and SMS to actual webpages. The new font has been named Roboto! A virtual recent apps button has been created for the smartphones homepage. Click this button and all of your latest apps used are displayed in chronological order and a thumbnail image is created with what that app is actually doing, or was when you last used it. Tip: use your finger to flip the apps to the right to discard them from the recent app history. The security features have also been updated on Android v4 smartphones and this can now be set to only allow access to the phone via facial recognition. This feature works well and as a back-up for other users of the phone or if the facial recognition doesn’t work on an occasion a finger swipe pattern can be set up over 9 points on the screen instead, much more inviting than a PIN number! The Network Data Manager App has been added and this tool is handy for those who aren’t using a free Wi-Fi zone for using the internet or downloading content. The apps can be set with a data usage warning level and each individual area of use is broken down for analysis, from YouTube videos to Skype calls. The phone contact book has also been update and now large profile images can be saved along with phone numbers, email addresses and status updates. Wi-Fi Direct is a new way of sharing your photos, videos and files to other devices that are Wi-Fi enabled. Live Effects is also featured on these newer mobile phone deals with Android v4 and can be used to add different backgrounds to videos and photos. Look for mobile phone deals where the operating system is Android v4 or above and there are plenty in the market for those who want a budget friendly deal. In fact recent research by Mobilephones has discovered that there are more value deals for phones on Android v4 than Android v2 when you look at the current smartphone portfolio. Nice concise summary of the differences. One thing I’ve noticed is the battery life seems to have got a lot worse with the latest release of Android? Would be interested in your thoughts?